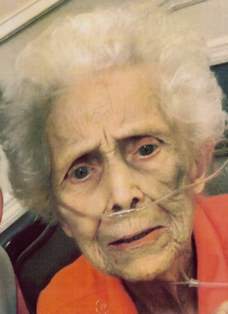 Obituary for Mrs. Carol D. (Gittings) Sharp | Hinchliff-Pearson-West, Inc.
Carol D. (Gittings) Sharp, 89, of Galesburg, died at 12:42 p.m. Monday, February 4, 2019 in Rosewood Care Center. She was born December 23, 1929, in Burlington, Iowa, the daughter of Cecil and Dorothy (Dowell) Gittings. She married Russell D. Sharp Sr. on February 14, 1949, in Monmouth. He preceded her in death May 15, 2000 after 51 years of marriage. She is survived by her children, Rhonda (Duane) McMeekan of Mesa, Arizona and Russell Sharp Jr. of Galesburg; three grandsons, Aaron (Julie) McMeekan and Chad McMeekan, both of San Tan Valley, Arizona, and Sheldon McMeekan of Chandler, Arizona; a step granddaughter, Carol Curtis of Galesburg; three great grandsons, Patrick McMeekan of Galva, Preston McMeekan of Chandler, and Payton (Gabrielle) McMeekan of Oceanside, California; step great grandchildren, Jenna Curtis of Macomb and Ryan Curtis of Galesburg; a sister, Mable Jane Boone of Monmouth; three brothers, Robert (Jerry) Gittings of Little York and Perry Gittings and Edward Gittings, both of Davenport, Iowa; a sister-in-law, Erma Johnson of Galesburg; and many nieces and nephews. In addition to her husband, she was preceded in death by her parents and sisters, Lea Estelyn Johnson, Bonnie Scott, and Nedra Mason. 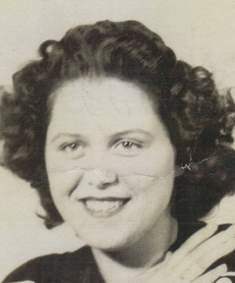 She graduated from Monmouth High School in 1947. Carol was an avid seamstress and sewed for many people from her home. She also enjoyed reading. Carol loved spending time with her family. Visitation will be 1 to 2 p.m. Sunday, February 10, 2019 at Hinchliff-Pearson-West Funeral Directors and Cremation Services Galesburg Chapel. Funeral service will follow at 2 p.m. with Rev. Jim Ecklund officiating. Cremation will be accorded following the funeral. Her remains will be buried with her husband in East Linwood Cemetery at a later date. Memorial contributions may be made to OSF St. Mary Medical Center. Online condolences may be made at www.h-p-w.com.